London Mayor Boris Johnson has instructed Transport for London (TfL) to ensure that motorcycles are allowed to use the capital’s bus lanes before the end of the year. Johnson issued the instruction as part of a series of measures he wants to see introduced to cut congestion in the city, after a TfL report showed traffic flow in London remains poor despite the introduction of the congestion charge in 2003. Allowing motorcycles access to bus lanes could reassure motorcyclists who have been worried the Mayor might go back on a pre-election pledge to open up bus lanes to motorcycles. Johnson’s commitment to the plan appears to have wavered in recent weeks, following strong protests against the scheme from cycling lobby groups. Johnson said the congestion charge had been successful in cutting the number of vehicles entering London, but had failed to cut congestion. “I am therefore introducing a more comprehensive approach to easing congestion in London,” he said. 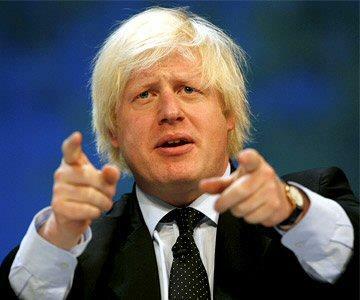 The British Motorcyclists Federation (BMF) was quick to welcome Johnson’s move. “A TfL report proved the safety benefits of motorcycles using bus lanes, and we’re very pleased that Mr. Johnson has stuck by his word,” BMF spokesman Chris Hodder said.